I started running in middle school because I wanted to beat my older sister. I never thought that my relentless desire to win would grow into a passion I would pursue well into my adult life. What started as a petty sibling rivalry slowly grew into something I couldn’t live without today. 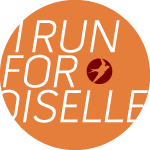 My name is Andie Cozzarelli and I am a professional distance runner on Oiselle’s Haute Volé team. I graduated in 2013 with an engineering degree from North Carolina State University where I ran on the Varsity Cross Country & Track team. I joined the Volée team in 2014 after struggling for a year trying to find myself as a post-collegiate athlete in the working world. I welcomed the opportunity as I longed for that team atmosphere I had throughout the entirety of my running career. Joining Oiselle turned out to be the best thing that could have ever happened to me. In November of 2014 I qualified for the 2016 US Olympic Trials Marathon. I joined the Haute Volée team in 2015 which has brought me to where I am today! This blog will serve as my outlet to spread both my experiences racing and training and my nutrition including recipes and tips. Hope you enjoy!